In an exclusive area of Murrayfield, this 5-star Victorian guest house offers luxury accommodation, superb service and free parking. Murrayfield Stadium is nearby. 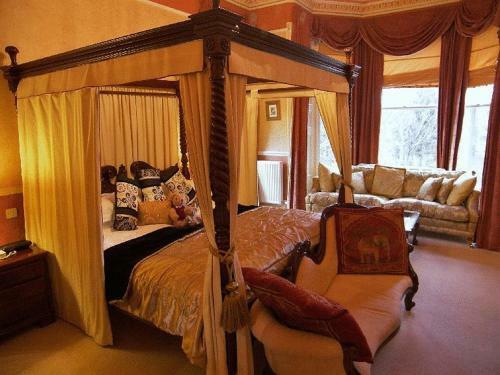 Some of the spacious, sumptuous rooms at Kingsburgh House have a luxurious four-poster bed. Complimentary mineral water, sherry and chocolate are also provided. A regular bus service operates from outside the hotel, providing access to the city centre. Haymarket rail station is a 5-minute drive away.